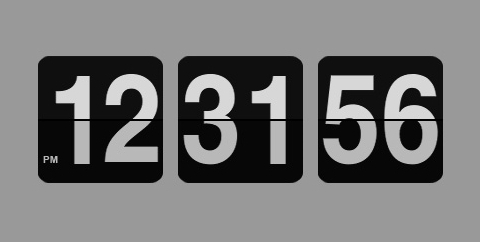 Nettus has published a tutorial: Learn how to Create a Retro Animated Flip-Down Clock. In the tutorial, we will create an animated flip down clock inspired by the 70’s. Using the Mootools framework, we are trying to replicate the flip action of the pads and make it as lifelike as possible. With it’s retro styling, it could be a really neat thing to add to your website. The clock is composed of three groups of images: hours, minutes and seconds, which are split in an upper part and a lower part so we can obtain the “flip” effect. The main animation consists of reducing the height of the upper part from 100% to 0%, then increasing the height of the lower part from 0% to 100% for each group in which a digit changes. At first glance this looks really hot.